It’s the most wonderful time of the year! The air is filled with best-of lists, Pushcart nominations, and NEA grants! And magic, of course: in the form of Christmas music, too many cookies, and implausible stories we tell our children. In honor of how fiction enriches our lives, this week’s roundup has a list of years-end honors received by Lookout authors and Ecotone contributors who tell us tall tales. We’ll start with a heavy hitter: the New York Times list of 100 Notable Books features Lookout author Edith Pearlman, and Ecotone contributor Lauren Groff. And we love this list from NPR Books which features Groff again, of course, and contributors Claire Vaye Watson, Toni Tipton-Martin, and Jim Shepard among a slew of other really fantastic choices. We’re grateful to Jodi Paloni who curated a list of the year’s top short stories for the Quivering Pen’s Best of the Year Short Stories. Melissa Pritchard’s “Carnation Milk Palace” from Ecotone joins stories by fellow Ecotone contributors Ann Beattie, Bill Roorbach, and lots of other greats. Huge thanks to the good folks at At Length for their Pushcart nomination of “Where Judges Walk,” part of Matthew Neill Null’s novel from Lookout, Honey from the Lion. The National Endowment for the Arts has awarded their fall fellowships for creative writers, and we’re so happy for Ecotone contributor Vedran Husic. Speaking of Santa Claus, Ecotone contributor Clare Beams has a post up on the Ploughshares blog on historical fiction. She says, “The past I want to read and write about is always the kind alive enough to frighten.” Which is why we love her writing so. And perhaps the holidays, too. Is the idea of a man coming down your chimney not more than a little bit frightening? Thanks, as always, for reading. We’ll be back with roundup in the new year. In the meantime, here’s hoping your season is filled with the best-of everything! Including stories. 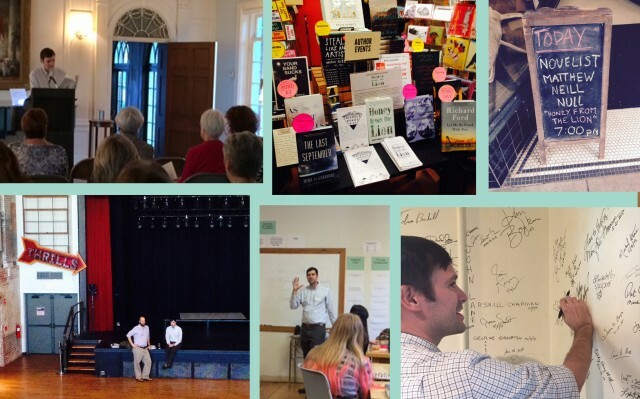 Friends, it’s been an incredibly busy week here at Ecotone and Lookout HQ. The last week of classes! Finishing up edits on Lookout’s new story collection! Getting ready to upload Ecotone’s fall/winter issue! Buying holiday trees! Our contributors have been busy too. In the spirit of the honoring the busyness in all of us, this week’s roundup is coming at you rapid fire. Ready, set: literature! Ecotone contributor Jeff Sharlet and collaborator Neil Shea announce a new project with Virginia Quarterly Review: #TrueStory, which will build on the experiments with “Instagram journalism” Neil and Jeff have been making. They start with a dispatch from Meera Subramanian. Each week there’ll be a new selection of reported stories, and they’re looking for submissions. The work will also be published online at VQR, and select essays will appear in the print journal. In other submission news, submissions are open for the Rose Post Creative Nonfiction Contest from the North Carolina Writers’ Network, and first-place winners could potentially see their essays on the pages of Ecotone. If you’re in the area, Lookout’s debut novelist, Matthew Neill Null, will read from Honey from the Lion at his alma mater Washington and Lee on December 7 at 7 p.m.
Up for a laugh? At the Rumpus, Lookout author Steve Almond very comically shares his “fan mail” (See those quotes? This mail is full of loathing and violence!) from Against Football and then responds to them. New work is out from a bunch of Ecotone contributors: Elizabeth T. Gray Jr. has a lovely poem featured on Women’s Voices for Change. Jamie Quatro has a new short story in the Oxford American. Matthew Gavin Frank had part of his new book (about Chicago pizza!) featured in Longreads last week. Good news abounds too! Ecotone contributor Toni Tipton-Martin fetched some glowing words from the New York Times for Breaking the Jemima Code. And both Lookout author Edith Pearlman and Ecotone contributor Lauren Groff made the New York Times list of 100 Notable Books of 2015. And unless you’ve been living under a rock, you’ve already heard about Claire Vaye Watkins’s amazing essay on the Tin House blog. But if you just crawled out, head on over. Bam! A slew of amazing reads to keep you busy in your down time. Thanks for taking the time to check in. 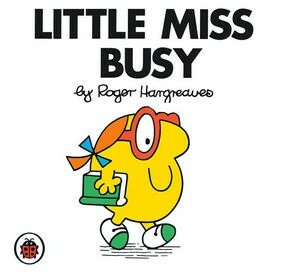 We hope your week ahead is filled with busyness and rest in perfect balance. It’s Halloween eve, folks, and we’re ready to get creepy and eat some candy! This week’s roundup highlights what we love so much about Halloween: the combination of scary and sweet, of “misery and magic” (quoth Morgantown Magazine, below). 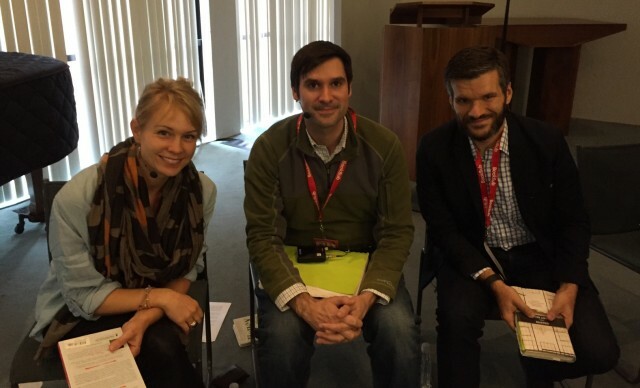 We’ll start off with this bit of photographic sweetness from the Boston Book Festival, where our own Matthew Neill Null sat on a panel with superstars Megan Mayhew Bergman and Matt Bell. 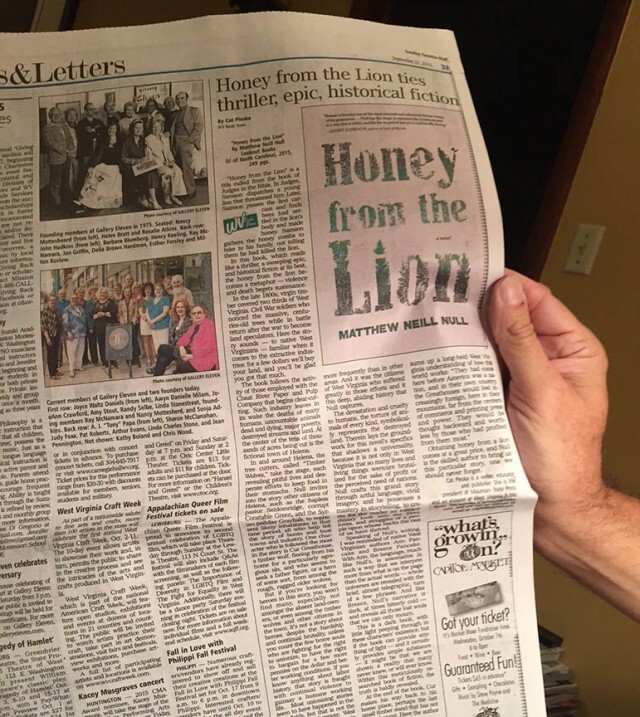 Things heat up with some love for Honey from the Lion, first from this Atlanta Journal-Constitution review. “Null commands the language of a bygone place and time in prose as eloquent and precise as poetry,” it says, and also: “Mistaken identities, espionage, double-crosses, police corruption, gilded-era fat cats scheming from afar, hatchet men penetrating the union ranks like ninjas—it’s all here in a tightly plotted story that often reads like a thriller.” Poetry and pacing! That’s quite a combo, no? Matt and the book also got some hometown love in the October issue of Morgantown Magazine: “Matt’s characters are the men and women who live close to the bone—the sawyers, peddlers, and laborers whose muscle and spirit both built the state and irrevocably transformed it. And his language, though image-rich and arresting on its own, doesn’t shy away from describing the misery and magic of the setting in equal measure.” We just love that description. A delightful piece of news: contributor Aimee Nezhukumatathil has been named poetry editor of Orion. Congrats, Aimee! But don’t get too comfy: The Toronto Observer asks, “Are You Afraid of the Dark?” in this awesome review of contributor Benjamin Percy’s novel The Dead Lands, a new post-apocalyptic thriller inspired by the Lewis and Clark saga. We were so happy to see the first three suggestions on the Master’s Review‘s fall reading list are novels from Ecotone contributors—Matthew Neill Null alongside Lauren Groff and Claire Vaye Watkins! Scary! Awesome! We hope your Halloween festivities are filled with all the wholesomeness and wickedness, debauchery and deliciousness you can stomach. Welcome to another Friday! We’ve been busy at work on production for our Sound issue of Ecotone, and wanted to share some good noise with you this week. Lookout author Steve Almond along with cohost Cheryl Strayed celebrated the one-year anniversary of Dear Sugar radio this week! If you haven’t listened to this podcast, do so posthaste. Always moving and thought-provoking, these two make a fabulous pair. You know what else sounds good? Book awards, and new books. 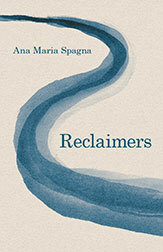 Ecotone contributor Ana Maria Spagna’s new book, Reclaimers, is out. It tells the story of how members of the Mountain Maidu tribe attempted to reclaim the Humbug Valley, a forest-hemmed meadow sacred to them, from the grip of a utility company. Corinna McClanahan Schroeder, whose work will appear in our forthcoming Sound issue, has a first book out from Texas Review Press. Winner of the X. J. Kennedy Poetry Prize, the poems in Inked chart a departure and a return. That’s all for this week! We hope your weekend is full of joyful noise and the sounds of beautiful words. It’s a festival weekend, folks! 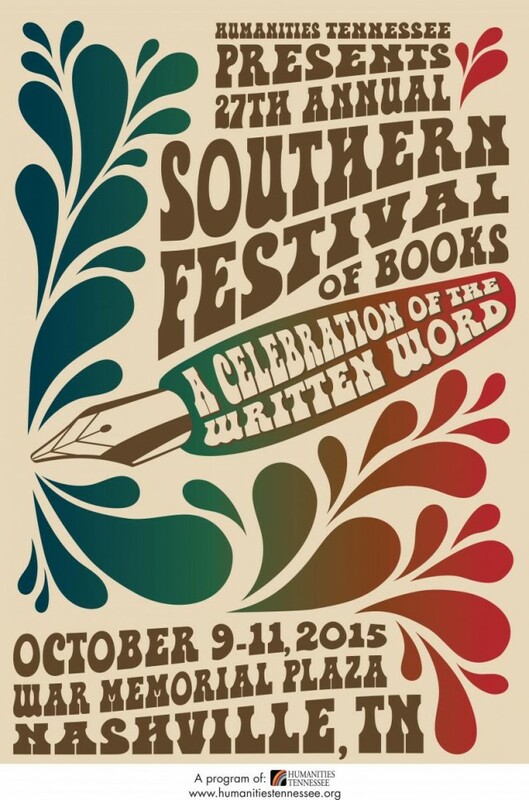 Though we’re disappointed we won’t be at the Southern Festival of Books in Nashville, we hope that everyone who is going will stop by John F. Blair’s booth to check out our titles and to meet Matthew Neill Null, or find him on the panel “Whiskey-Bent and Gallows-Bound: Novels of Turn-of-the-Century West Virginia” (what a mouthful!). Speaking of mouthfuls, have some hot chicken for us while you’re there, will you? Maybe one of the many Ecotone contributors in attendance will join you. Keep an eye out for Rick Bragg, Ansel Elkins, Rebecca Gayle Howell, Lauren Groff, Ron Rash, David Shields, Claire Vaye Watkins, and Benjamin Percy. We also highly recommend a stop at Parnassus, where co-owner Ann Patchett is hosting a special welcome for those Friday morning visitors who stop in on their way downtown to the Festival! Ecotone contributor Clare Beams has this great post, “Literary Teachers and Their Lessons,” on the Ploughshares blog, and Lauren Groff wrote about her inspiration, Virginia Woolf, in the Atlantic. We’re excited about two new books by Ecotone contributors. Comic artist Melanie K. Gillman’s Nonbinary is reviewed at Women Write About Comics. 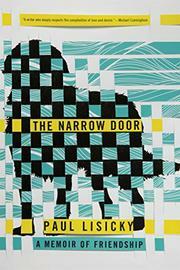 And Paul Lisicky’s new memoir coming out from Graywolf, The Narrow Door, got this great review from Kirkus. An excerpt of the book appeared in Ecotone 19, our anniversary issue. If you’re looking to be an Ecotone contributor, we’re open to submissions again, as of October 1. Why not send us something? We hope your coming weekend is filled with the festival spirit, in your heart or in your books. Enjoy the festival of falling leaves this weekend too, if your in a place where that happens. Thanks for celebrating with us! It’s been a week of more rain, inter-cranial pressure changes, and discussions about how to pronounce Joaquin. But also lots of literary goings-on! 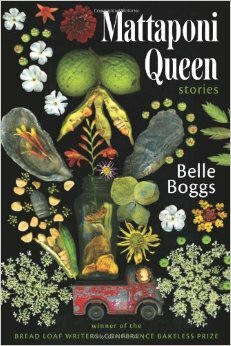 We enjoyed a fantastic discussion late last week between Michael Taeckens and Belle Boggs, about the promotion for her story collection, Mattaponi Queen, and forthcoming book, The Art of Waiting. (You can read her essay, “Imaginary Children,” in Ecotone 17 for a sneak peek of her new book!) The discussion revolved around the perfect cover design (witness Belle’s first cover here, one of Michael’s favorites), whether to hand out character-themed jam at readings or not to, and how to be yourself on social media. We’re so grateful to Michael for all we learned from him as UNCW’s first visiting publishing professional this semester. Speaking of social media, Ecotone got Instagram! Follow us @EcotoneMagazine (and Lookout’s as well, of course, at LookoutBooksuncw). 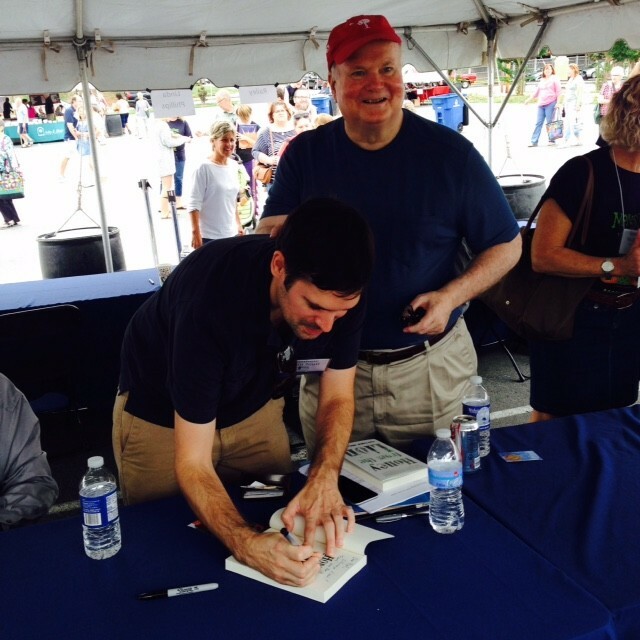 Lookout and Ecotone authors have been in the news nearly as much as Hurricane Joaquin this week! Lookout’s debut novel, Honey from the Lion, has been all over the South, from our home state of North Carolina, to the book’s backdrop, West Virgina. Wilmington’s own Star News called it “a masterful effort, an evocation of a vanished time and place” in this review. The Charleston Gazette Mail says Honey “reads like a thriller, a sweeping epic, and historical fiction at its best.” We couldn’t agree more. Ecotone contributor and neighbor John Jeremiah Sullivan wrote a fun rock ‘n roll investigation for the Paris Review. Kirkus Reviews 2015 Book Finalists longlist includes Ecotone contributors Lauren Groff and Jim Shepard. 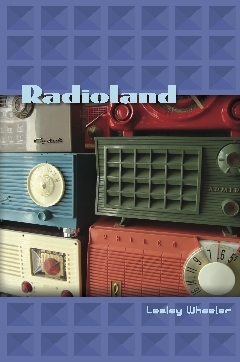 We owe congratulations to Ecotone poet and essayist Lesley Wheeler, whose new collection of poetry, Radioland, is available, as of yesterday, from Barrow Street Press. And our own Binocular Vision appeared in the New York Times this week, in this meditation on the intersection of motherhood and gadgetry. We hope your week is filled with only the best kinds of storms and unlikely realizations: ones that bring much-needed rain and understanding. In case you missed any of the goings-on around the book this week, here’s a quick recap: find excerpts of the novel at At Length and American Short Fiction, and find interviews from Kirkus and Tin House’s the Open Bar. And tune in on Thursday, September 17 at noon to hear Matt on the State of Things from WUNC. We’ve been working long hours to get all preorders mailed. 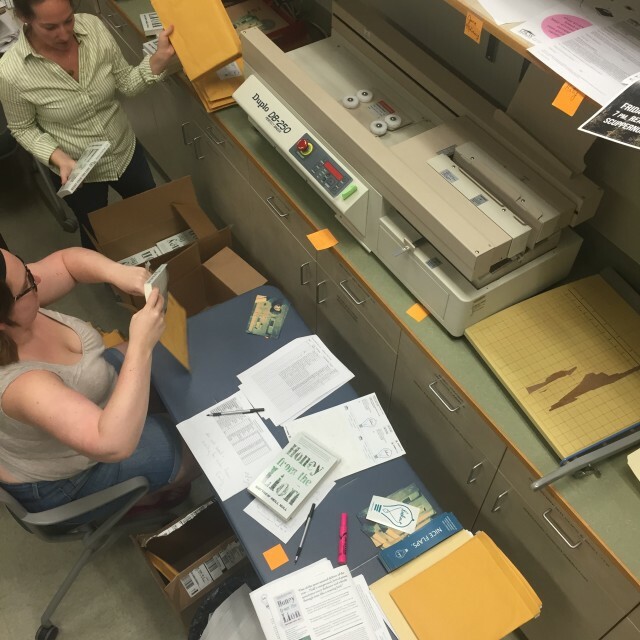 If you’re one of our lucky customers, the books are on the way thanks to the hard work on the Lookout staff (Megan and Morgan seen here; overhead ladder shot courtesy of Liz). In other news, Ecotone contributors are all over the web this week. Claire Vaye Watkins and Lauren Groff talk about their new books on Salon with Alexandra Kleeman, Helen Phillips, Matthew Salesses, and Steve Toltz. One of the most fun interviews we’ve read in a while. Kazim Ali wrote this open letter to contributor Aimee Nezhukumatathil in response to this week’s Best American Poetry scandal. And Toni Tipton Martin got some attention from the New York Times for her book The Jemima Code. That’s the news for the week! On this September 11 we hope you are surrounded by those you love and words that bring you comfort and connection. Many Ecotone contributors have been busy launching books this fall, and we love to see their names on best-of lists! Claire Vaye Watkins and Lauren Groff made Bustle’s list of most anticipated fall books, Lauren’s book was featured again on Electric Literature, and Luis Alberto Urrea’s new book got a nice review in High Country Times. 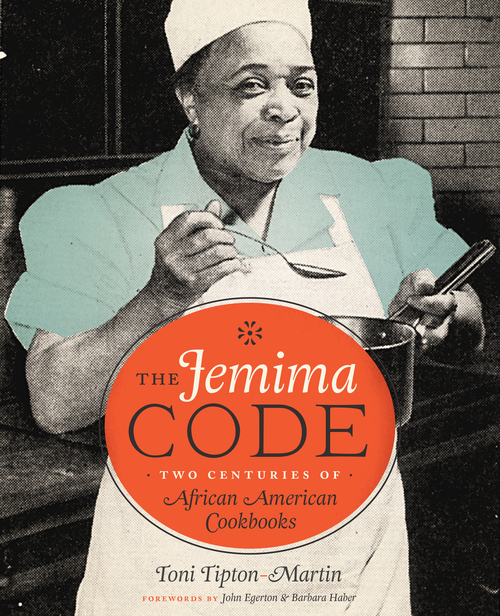 Contributor Toni Tipton-Martin’s fantastic new book, The Jemima Code: Two Centuries of African American Cookbooks is the new selection for the Bitter Southerner’s Well Read Book Club. Toni has amassed an amazing collection of cookbooks by little-known African American cooks—one of which was featured in Ecotone’s sustenance issue—and her book explores what they have to say about our culture. Toni was also consulted in this NYT piece about food and race in the South. In event news, Ecotone contributor Randall Keenan will discuss Ta-Nehisi Coates’s book Between the World and Me at Durham’s The Regulator Bookshop next Tuesday, which is also the official launch for Lookout’s sixth title, Honey from the Lion by Matthew Neill Null! (But if you can’t wait until then to start reading, At Length magazine published this stunning excerpt from the novel.) Tonight at 7 p.m., Matt joins host Jenny Zhang and writers Leopoldine Core, Doreen St. Félix, Alice Kim, and Anna North for Alienation Produces Eccentrics or Revolutionaries at Housing Works Bookstore Café. You won’t want to miss his first official reading from Honey from the Lion. 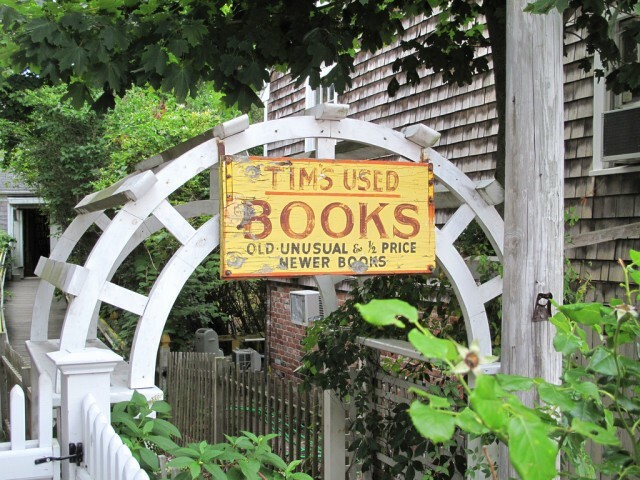 And on Sunday, he will launch the novel in his hometown of Provincetown at Tim’s Used Books. Next week, Matt kicks off his tour of the Carolinas, thanks in part to a grant from South Arts. He’ll be giving public readings and teaching historic fiction writing workshops along the way. Check out the events page on his website for dates, times, and details. If, like us, you’re always in the mood for an Edith Pearlman story, her story “Fitting” is the story of the week at the Kenyon Review. In award news, Ecotone contributor Jared Harel won the Stanley Kunitz Memorial Prize for younger poets from the American Poetry Review, and contributor Meehan Crist won a 2015 Rona Jaffe Foundation Award. Huge congrats, you two! Have a wonderful Labor Day, everyone! We’ll be catching up on some reading on the beach here in Wilmington. We hope your week is filled with literary and leisurely good times wherever you are.